This forest is right in town. It has define limits - sidewalks! It also has trails, bridges, huge trees, a small creek and plenty of room to explore, play games and enjoy a bit of freedom. We go with our big buddy class. The rule is that the big buddy has to stay with the little buddy and the little buddy has to stay with the big buddy. No going onto the sidewalk. Come to the whistle blast as soon as you hear it and as quickly as you can. On this visit, the main attraction was a log. A log crossing over a little bit of a creek. After a bit of exploring a few kids asked me if they could go across the log. My answer was that they could IF they felt it was safe for them. Kindergarten kidlets could go across on their bums and big kids could walk. This little guy scooted over the log countless times. He was concentrating hard and mastering a new skill. The big kids could not resist jumping off the log. Same rule. Only if you feel safe. 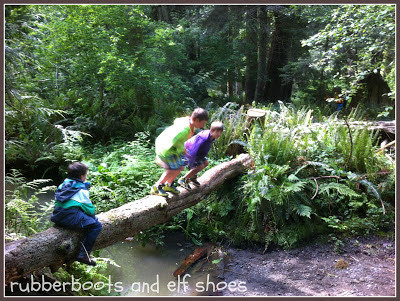 The kids had to make the choice for themselves if they felt it was safe for them to cross on the log. 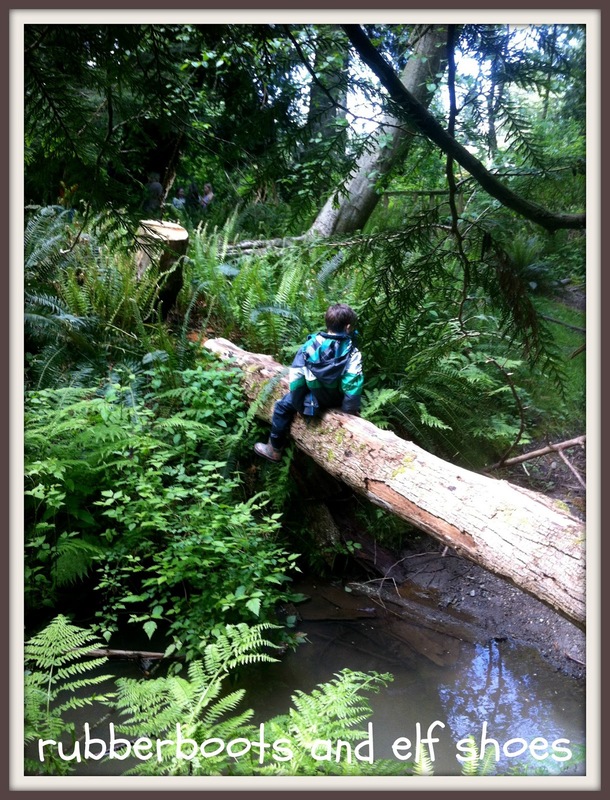 Some kids felt totally safe, and could probably have cartwheeled across the log. Other kids looked, thought about it, and decided that it was not for them. Both options were perfectly acceptable. Making risk assessments and taking safe risks is an important part of self regulation. And an important part of development. Life is full of risks. Very little is learned without risk being taken. No one would ever learn to walk if they were not willing/able/allowed to risk falling on their bums. Kids need to learn to assess risk and take productive risks. Risks that have greater benefit than than the small dangers. Children need to be able to take reasonable risks. Through risk taking they can develop self confidence, good judgement, persistence and perseverance, and resiliency. Children learn to make judgement call through real life. Through successes and challenges. Through bumps, bruises, band-aids and trying again. When my son was 6 or 7, he loved riding his bike down a path on a hill. He loved going as fast as his little feet could pedal - and then a wee bit faster. A number of other mums were worried about him and asked if I knew what he was doing. I had an understanding with my son - he wore a helmet and I carried band aids (big ones). I wanted him to learn to take safe risks on a bicycle before he got behind the wheel of a car. 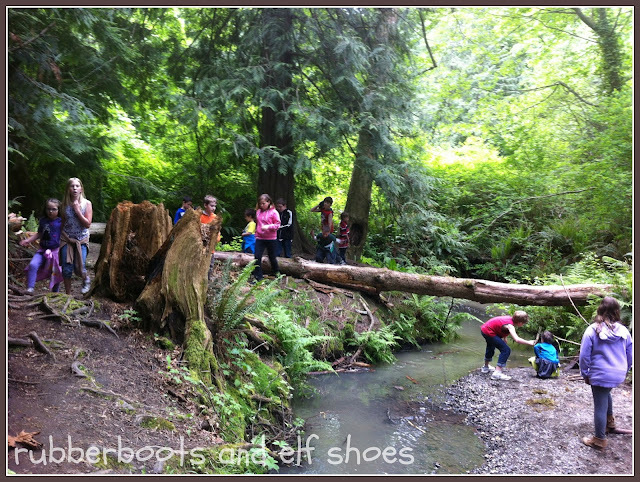 I plan to go back to our forest a couple of times before the end of the school year. It's likely that the log will be a major attraction again. We will talk about safe choices. I will carry band-aids in my first aid kit. And we will have a lot of fun, enjoying nature and the challenges and opportunities it offers us. I love your philosophy. Lucky kids!! To have a forest so near and a great log and you for a teacher! Rhythm, the kids and I would be delighted for you to join us for a romp in the forest. Dogs, kids and trees are a natural combination. what a brilliant approach. Kids need to make their own risk assessments because we aren't always going to be around. I love your post. Thank you. I think that a gradual release of responsibility is necessary for the development of all skills - including risk assessment. This is exactly what I've been telling the other moms at the playground who try to lecture me about how my [young] children climb [unexpectedly high] on the equipment. I'm always prepared if they fall, but neither of them ever have. Whats more my children are confident and learn to be cautious, their gross motor skills are fab, all because I let them do what children are supposed to be doing: play. Your students are very lucky, they are experiences a crucial part of childhood that majority of their generation is going to miss out on. Sounds like there is a reason why your kids are confident, have excellent gross motor skills and learn to know and respect their limits - they are allowed to practice those skills. I was with my children at a playground, allowing them to do their thing. An older (well meaning I am sure) lady came and told me that I was being irresponsible mother and that my children were going to get hurt. I was probably a little short tempered that day and told her that she had her turn to make mistakes with her children, and now it was my turn to make mistakes with mine! And I would make those "mistakes" all over again! I love your attitude. So many teachers and parents alike try and micro manage everything. Brilliant post Sandi & of course you are so right to allow them to assess the risk for themselves. You are so lucky to have such beautiful forests on your doorstep. 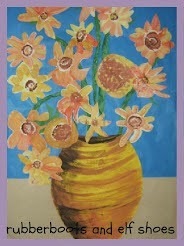 Thanks for being the first post to link up this week too. We are very fortunate to have great forests close by. Lovely post, I love your risk assessment and yes of course children should take some or they will never learn for when it really matters. Popping over from the Outdoor play party and would love you to share with me on Country Kids too. Thank you for the invitation - heading over right now. Thanks for coming over with your great post. A difficult thing to help you children manage I think. I try my best not to limit my wee man but sometimes my own fears get the better of me. It's funny because he will become more dependant on me if he sees my close by when without me if he wanted or was determined enough could do it himself. Definitely an important lesson to consider! What a wonderful post, and a wonderful opportunity you gave your students. I completely agree that children need the opportunity to manage themselves in potentially risky situations, and to be allowed to take some risks when playing. I was at a professional development workshop some years ago, where the speaker explained how a playground at their school had recently when redone. It was so incredibly safe, that the kids had to be creative and come up with interesting ways to play on it. In fact, there were more injuries on this "safe" playground than what they had previously, because the kids were challenging themselves to find ways to play. I was also in Spain last year and was struck by how much more freedom the children were given to play, and also how much more challenging their play structures were. I observed a toddler - no more than 3 - climbing an impressive structure. He was completely in control of his movements, and he was strong and agile. I was impressed by how capable the children were when given the chance to explore and play. Absolutely brilliant. I wish all learning could look like this! Great post and this forest looks amazing and that log is a childs dream come true - I remember when I was young there was a woodland near me with a huge log over a river and it was a highlight to walk over it. I think it's good for children to try new things if they want to, I actively encourage my son to climb trees, jump over things, crawl under things and when on the odd occassion he does fall over I am always there for him and he learns from his mistake. Great post! Letting them make choices like that seems to get so much more difficult for me as my kids get older(how high is TOO high to let them climb a tree for instance, when they have absolutely no fear?). I love your philosophy...especially the part about making choices on a bike before they get behind the wheel of a car. Thanks for sharing. 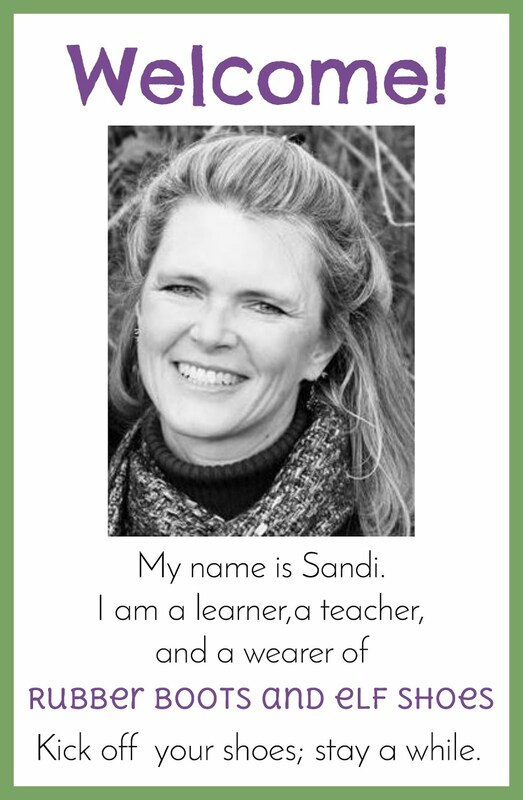 What a great post Sandi! I just stumbled upon your blog (thank you Pinterest!). 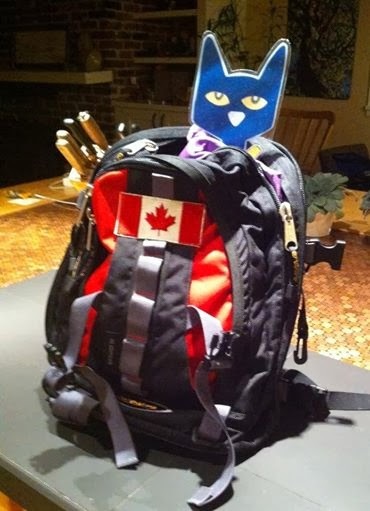 I am just starting my masters on this exact topic and I am also on Vancouver Island (Victoria). Where are you? I would love to be able to pick your brain some time!